Exterior restoration is a daunting task. Whether it is a normal home or a commercial property, restoring its exteriors to its former glory or better will be a demanding project. If the property is a heritage home, then the challenges increase exponentially. Heritage homes are not just old. They are delicate, there can be numerous problems waiting to be discovered and the values, both monetary and immaterial are much greater for a heritage home than a normal property. Heritage home exterior restoration needs a multipronged approach. The first step to heritage home exterior restoration is an exhaustive diagnosis of the property. An expansive site inspection needs to be conducted and that should check every minute feature of the entire structure. The purpose of the detailed inspection is to learn the structural framework of the property and to know if there are any damages to the foundation, the primary structure or anything that can threaten the structural integrity of the property. There could be numerous types of damages, from mold growth to shaky pillars, from damaged walls or warped roofs. All such problems need to be diagnosed and understood before even planning on the exterior renovation process. Simply because it is the exterior being attended to don’t imply that the structural framework doesn’t matter. The second step in heritage home exterior restoration is to hire the experts. 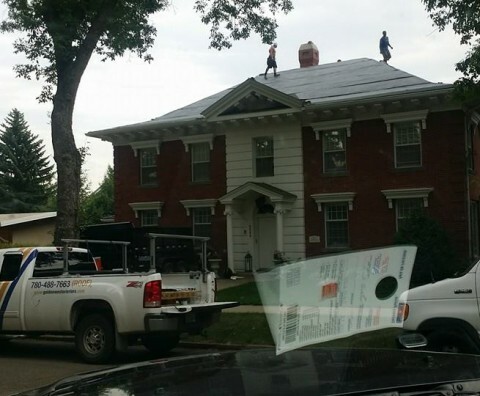 Not everyone in the construction industry is an expert at heritage home exterior restoration. Whether it is interiors or exteriors, restoration itself is a niche and that of a heritage home is rarer. Whether it is a full suite construction company or a roofer, a property owner must ensure that the artisans are specialized in restoration of exteriors. There is a distinct approach to heritage home exterior restoration. The first approach deals with fixing the problems. Those problems may not pertain to the exteriors. Yet, they should be attended to because sooner than later, the problems will manifest themselves onto the exteriors. Second, restoration is never done from the bottom and then upwards. It is always done from the top to the bottom. Hence, it is the roof and the attic that would be attended first and then the artisans or the restorers will work their way down the property, eventually to the external walls or façade at the ground floor. Having sincere, well trained and experienced, trustworthy and dedicated people working on your heritage home exterior restoration is the key to be satiated with the job done.